CNG conversions fully integrated into the body structure with no roof interference and model-specific configurations using Agility tanks and components. Placing a high value on the important things. Being an operator-led company means we have a unique understanding and appreciation for the value and importance of safety. 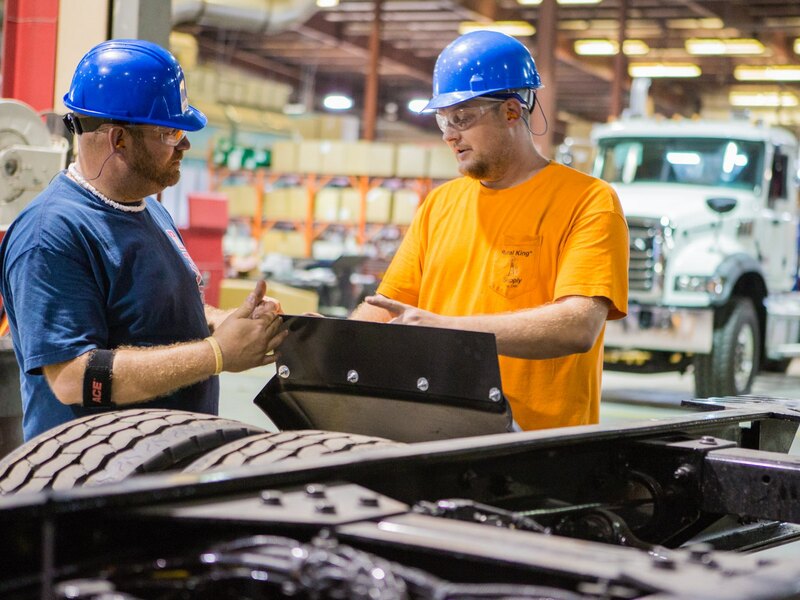 It’s paramount in maintaining an effective and profitable operation no matter if you’re manufacturing a truck or operating a fleet. That’s why operator safety and the safety of everyone is a core focus in the design of our products and in our daily manufacturing operations. Being safety-driven infuses our products with numerous systems and refinements to minimize or avoid risks, protect operators and employees and makes operation straightforward and intuitive. We believe simpler is most often safer—easy to learn, easy to operate properly and easy to service and repair—all to protect the most-precious resource, people. That’s why we are safety driven. Tailgate-mounted—CNG tanks protected inside. Better weight distribution. 75-90 diesel gallon equivalent. Optional Quiet Hydraulics. Additional fueling ports. Works with ISX-G. No under-ride issues—better ground clearance than other CNG front loaders. 75" above road height. 60-90 DGE available. Tailgate-mounted—CNG tanks protected inside. No roof interference. Additional fueling ports. Clear frame for pusher axles, tool boxes, recycling, etc. No under-ride issues. 75" above road height. Up to 150 DGE Available. Quiet Hydraulics. CNG available for all E-Z Pack rear loaders from 18 to 32 cubic yards. Integrated into front body structure. No roof interference. No ground clearance issues. Additional fueling ports. Keeps clear frame for pusher axles, tool boxes, recycling, etc. 60-75 DGE.